Once I said my goodbyes to a second group of photographers I continued alone towards an island Sulawesi that I longed to visit for quite a while. 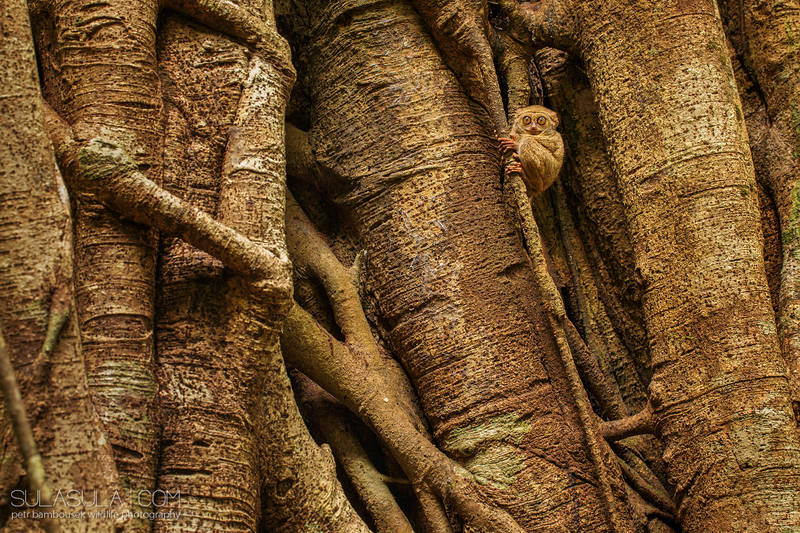 My main aim was to shoot macaques and the smallest world primates – the tarsiers. All pointed to the fact, that thanks to a detailed mapping of their whereabouts in the park, photographing macaques will be fairly easy. Photographing nocturnal tarsiers, however, should be much more challenging. In the end, all was the other way round. 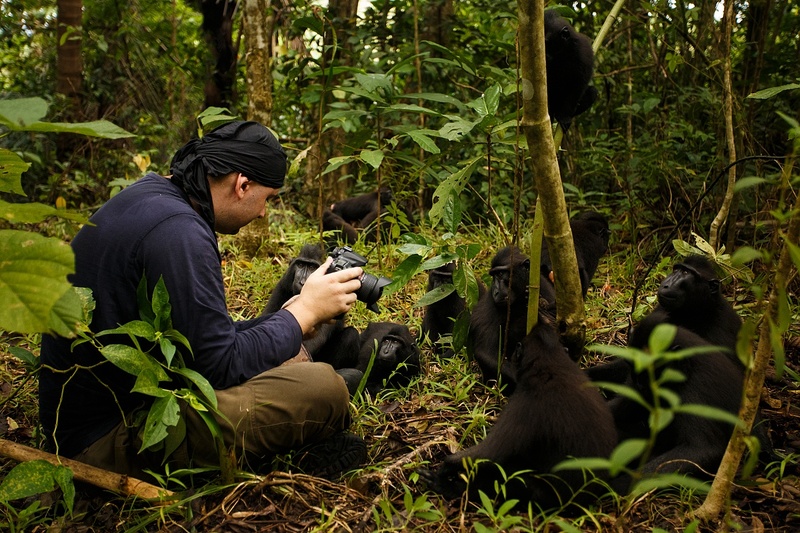 Some days I spent up to 10 hours in a pursuit of the monkeys. They would travel in large groups stopping at various posts that were not always suitable for photography. On many occasions, shooting them was totally out of question as a blare of sunlight flooded the entire scene. 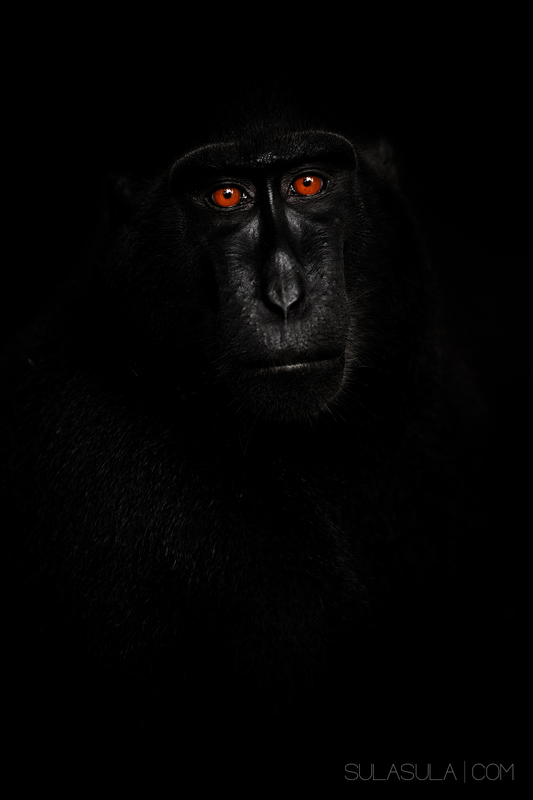 Realistically, out of the 4 days spent on shooting the macaques I got barely 2 hours of decent shooting. There were other unpleasant elements at the game, too. To name but a few, I’d start with drastic bites of microscopic bugs, named “gonone” by the locals; then swarms of mosquitos appearing out of nowhere; and last but not least, ants that surprised me in their numbers as well as their aggression. Despite all this, encountering macaques was very moving for me, especially when there was about 10 of them near me, all studying my equipment. Funnily enough, I’ve got no photo of this rendezvous as the cheeky monkeys mucked up my lens with their tiny fingerprints. However, my guide managed to take at least a candid photo that I can keep as a memory of this moment.